Products are stocked and are shipped within 1 business day after payment. 100% Money Back Guarantee: If you don't absolutely love your Aristo TIES products for any reason, just return them, and we'll either do a full refund or exchange. Established in April, 2014 by Aussie designer from Sydney, Australia, Specialising in High Quality Handmade Ties & Accessories. The specialty is the attention paid to every detail in regards to the material, design and its craftsmanship to give it a whole refine look. Countless hours are spend on the sizes, characterised by a wide range of colour, patterns and contrasts. We pride ourselves in being experts of wedding ties & Handkerchiefs for groom and groomsmen. We have curated a special collection of pocket squares that matches any bridesmaids dress. 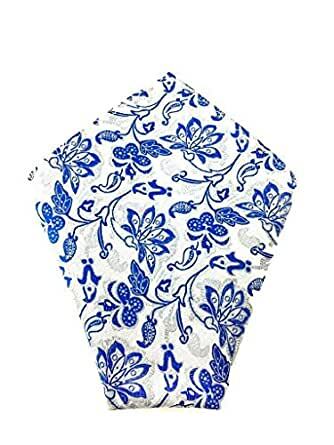 So if you need a pocket square for yourself, Groomsmen gift or as gift ideas for him, this Handkerchief will surely impress.